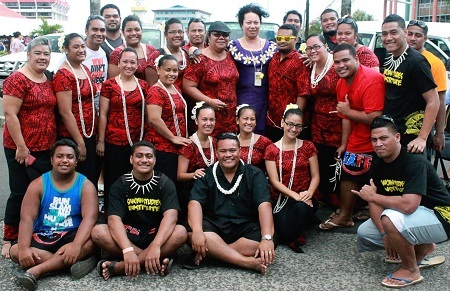 A group of 22 members of the ASCC Student Association for Faasamoa, along with four staff from the Samoan Studies Institute, traveled to Samoa earlier this month to participate in the Teuila Festival. Over the last few years, the Student Association for Faasamoa (SAFF) has established itself as one of the strongest student organizations at the American Samoa Community College (ASCC). Overseen by the Samoan Studies Institute (SSI), the SAFF promotes Samoan culture, arts and values while also providing its members with an academic support group, particularly in the area Samoan Studies. While membership may vary from semester to semester, the SAFF has consistently showcased its home pride, discipline and enthusiasm through cultural performances on numerous special occasions here at home as well as overseas at the most recent Festival of the Pacific Arts held in the Solomon Islands two years ago. 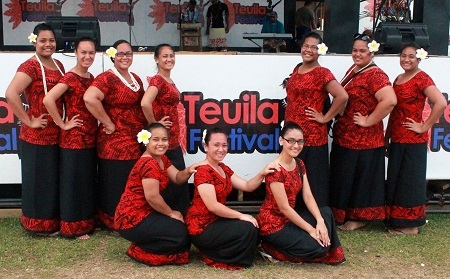 Upon receiving approval to participate in this year’s Teuila Festival, the SSI gave this semester’s SAFF members the option of traveling to the Independent State of Samoa for the event, and 24 of them chose to make the trip. With each student having secured parental permission and made arrangements with their instructors to make up for time away from classes, the SSI used funds from previous group performances to cover travel expenses for the available SAFF members and four SSI staff. Each student need only to contribute $40 towards the collective meal budget. During their visit to Samoa, the SAFF students enjoyed the opportunity not only to represent ASCC during their festival performances, but also to observe and practice the cultural traditions their organization seeks to exemplify. “The trip was organized with the students responsible for all of its aspects,” said SSI Director Okenaisa Fauolo-Manila, who accompanied the students. “From morning and evening devotions, cooking and serving our meals, to overseeing our luggage and equipment and so forth, this gave them an opportunity to learn the importance of va fealoa’i and its application.” With the group lodged at the Transit Motel, about an hour’s drive from Apia, they quickly adjusted to both living with each other 24/7 as well as knowing the correct behavior for any given situation. For example, when relatives of the malaga visited with food or simply to show support, the SAFF members followed Samoan protocol with formal acknowledgements. For more information on the Student Association for Faasamoa, contact the Samoan Studies Institute at ASCC at 699-9155.